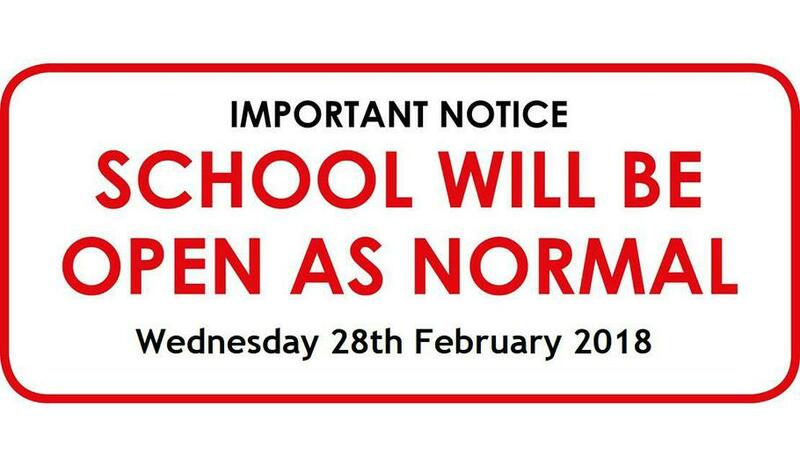 Please be aware that school is open today, Wednesday 28th February 2018. There has been light snowfall overnight which is due to stop around 8am. Pavements and roads are passable with care. Parents and carers are asked to remind their children to wear sensible footwear for slippy conditions as well as an appropriate coat, gloves and head-covering. Conditions will be monitored closely as the week progresses. Currently, the weather forecast is expecting heavy and sustained snowfall this coming Friday.